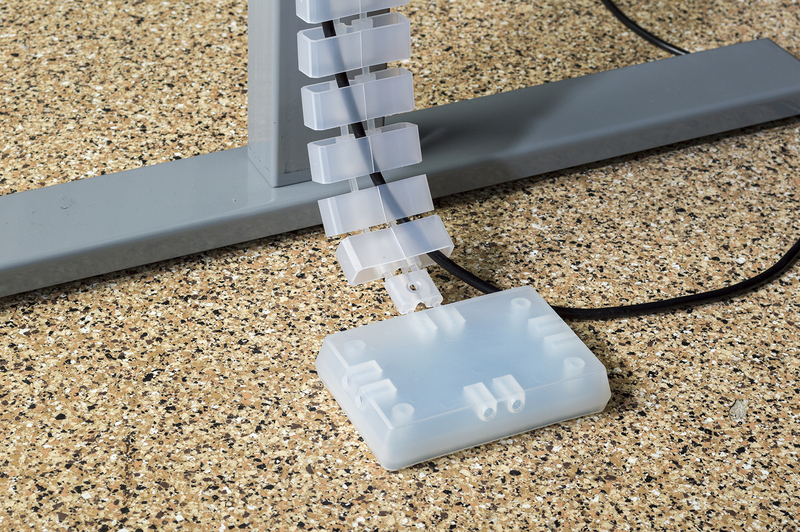 The patent-pending Link 360™ is a new multi-directional cable manager that is used for height-adjustable mechanisms. 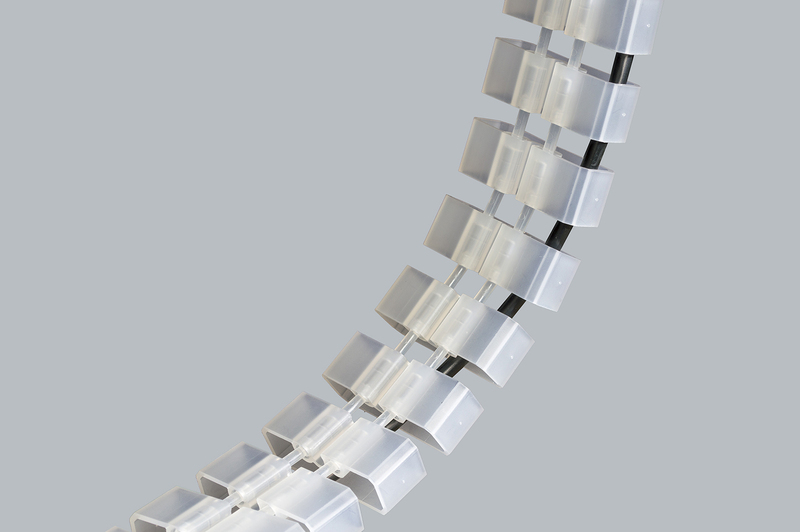 Simply add Link 360™ elements to achieve the desired height. 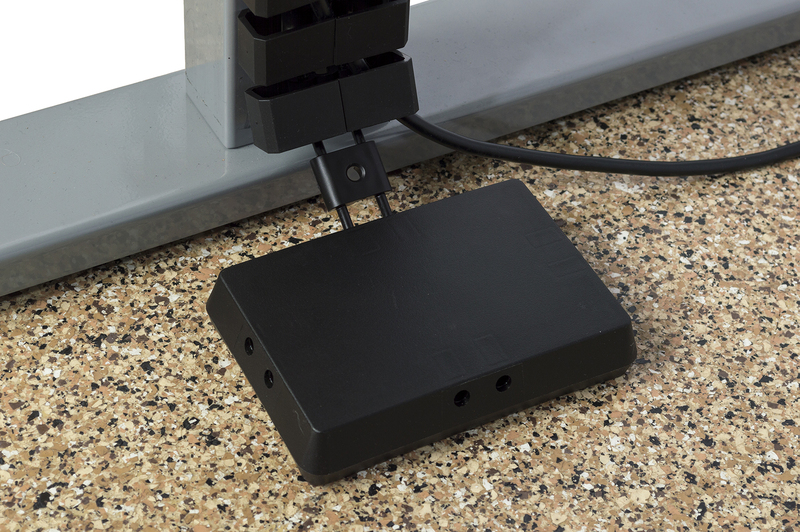 Wires and cables are fed from the work surface down through the elements to the weighted foot at the bottom. The Link 360™ is flexible and can be attached to the leg of the table base by use of the Link 360™ clip with a magnet or tape, or it can be free-standing. 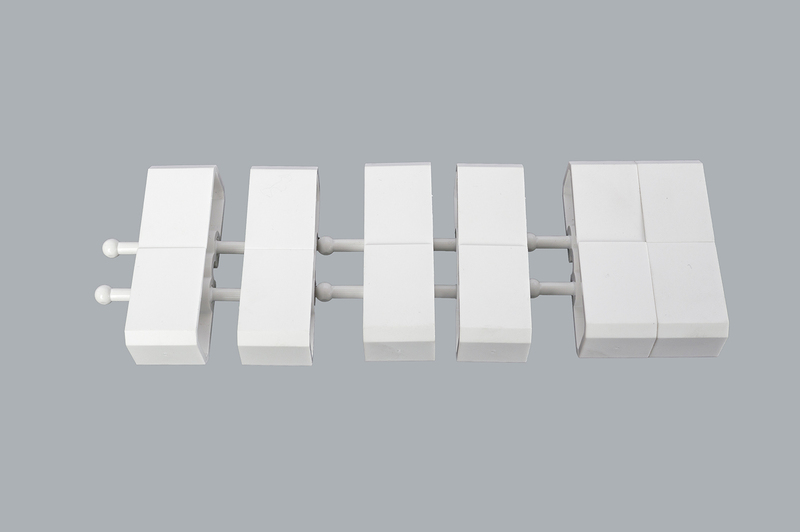 Link 360™ Cable Manager Kits are offered complete with 50 Link 360™ elements, 1 Quad Connector, 1 Dumbbell Connector, and 1 Foot Assembly. 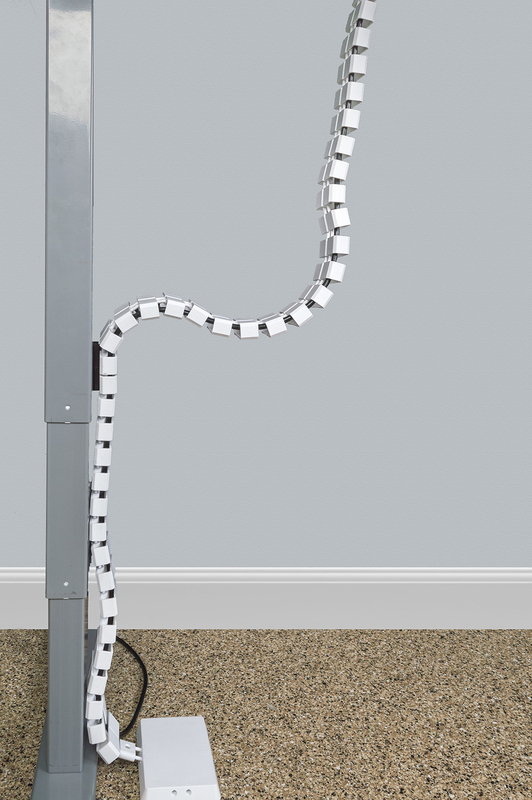 The Kits can be used for height-adjustable mechanisms up to 51”, and for free-standing use. Link 360™ Elements can be individually snapped in place into three positions: most flexible, less flexible, and most rigid. 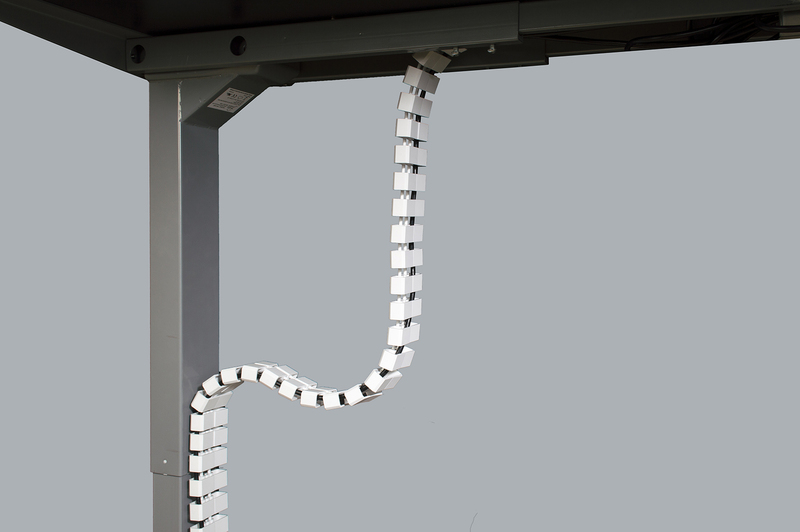 The rigid position is best for use with the Link 360™ Clip or Channel. Link 360™ Foot Assembly is used for free-standing cable manager applications. 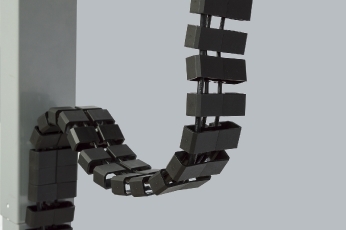 The Assembly has a weight attached on the inside. It also allows up to four Link 360™ Elements to attach. 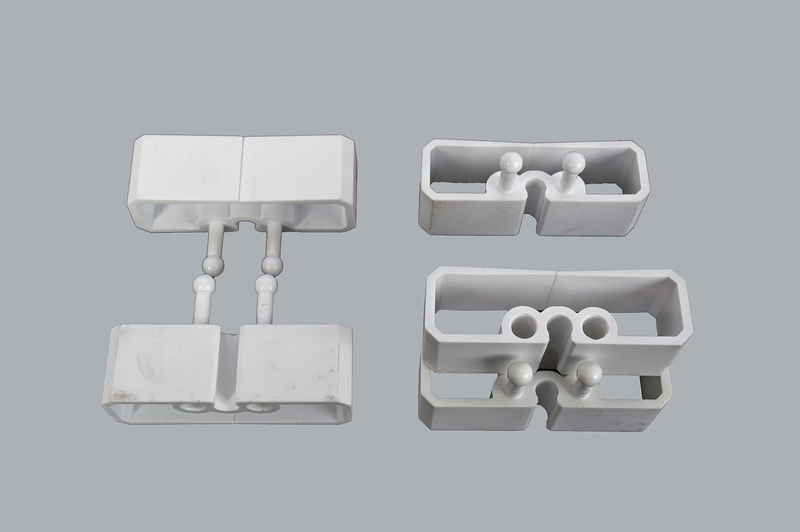 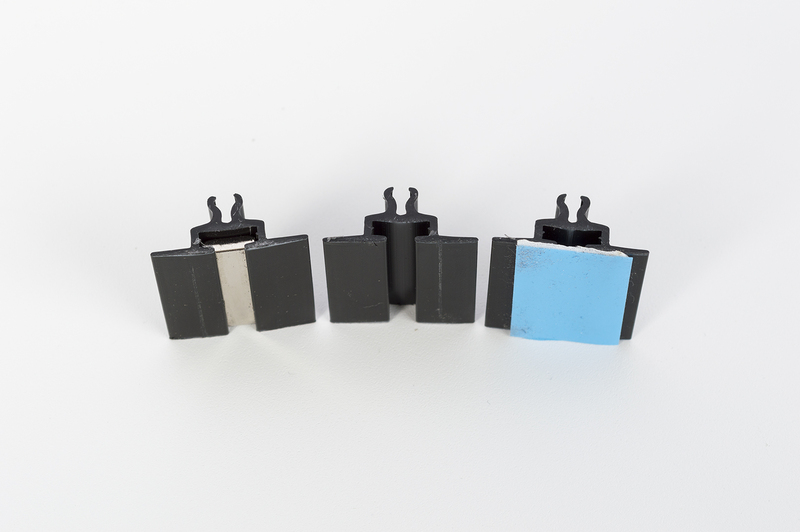 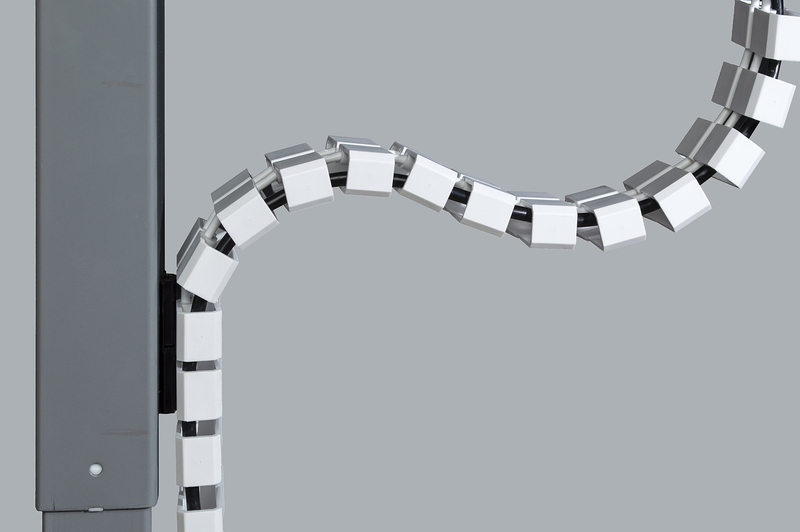 The Quad Connector is used for connecting up to four Link 360™ Elements underneath a work surface. 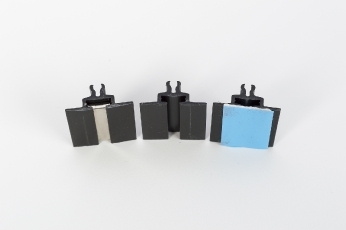 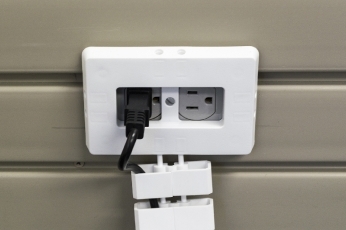 The Dumbbell Connector is used for connecting female to female connectors on Link 360™ parts or for connecting to a surface by using the hole to put a fastener through. 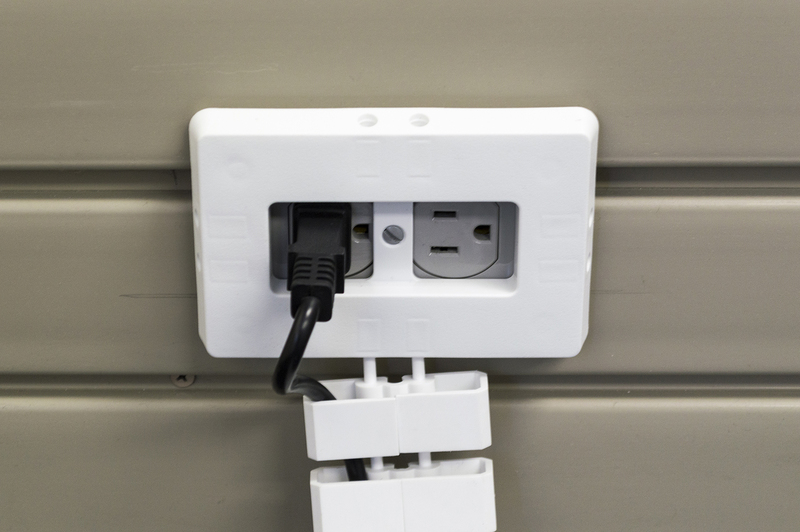 The Wall Plate screws directly onto a traditional 2-power wall or floor outlet. 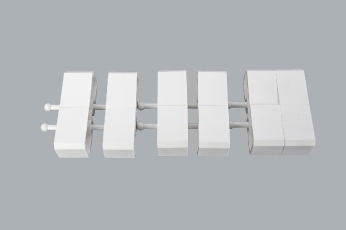 Allows Link 360™ Cable Manager to direct cabling to power source. 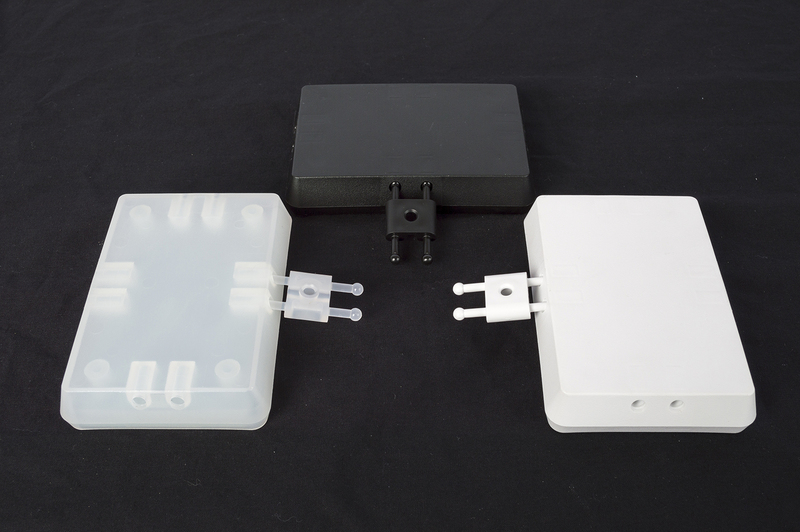 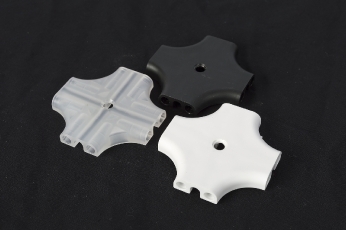 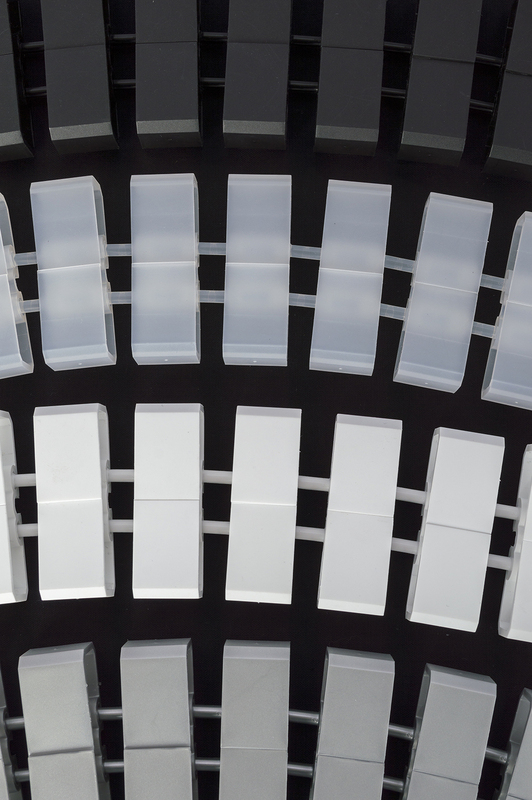 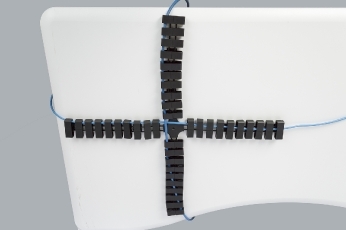 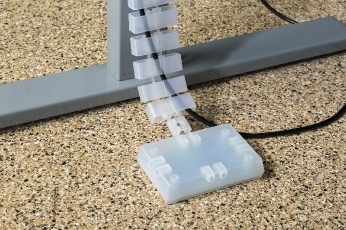 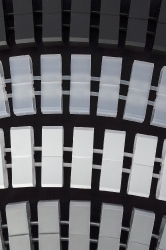 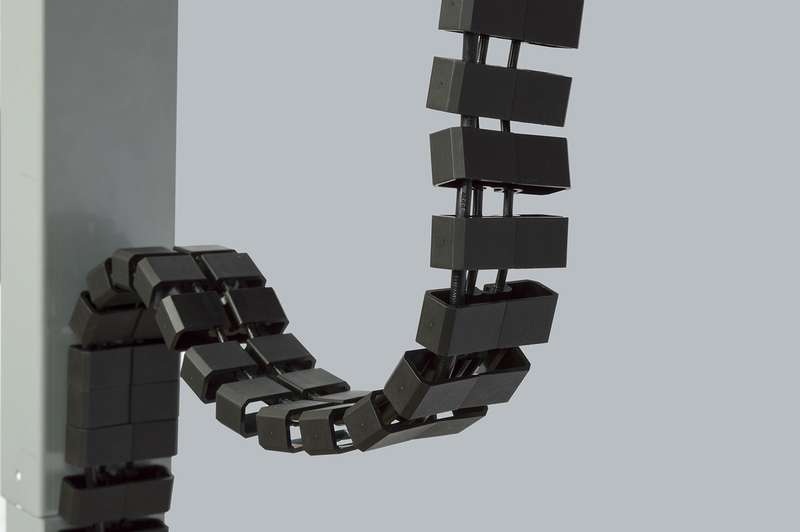 The Channel allows the Link 360™ to be connected horizontally or vertically to a surface and become a raceway wire manager by adhesive tape or mechanical fasteners. Same as the Clip but 96” in length. 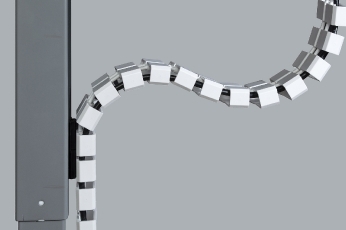 The Clip allows the Link 360™ to be connected horizontally or vertically to a surface by means of a magnet, adhesive tape, or mechanical fastener.